I’ve attended a few holiday parties recently and it got me thinking about how they can be stressful for those with celiac or an intolerance towards gluten. 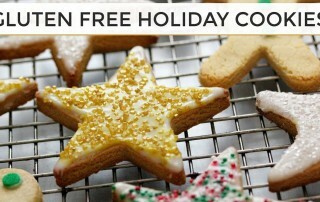 With this in mind, I wanted to re-visit the topic of eating gluten-free and more specifically gluten-free holiday baking. 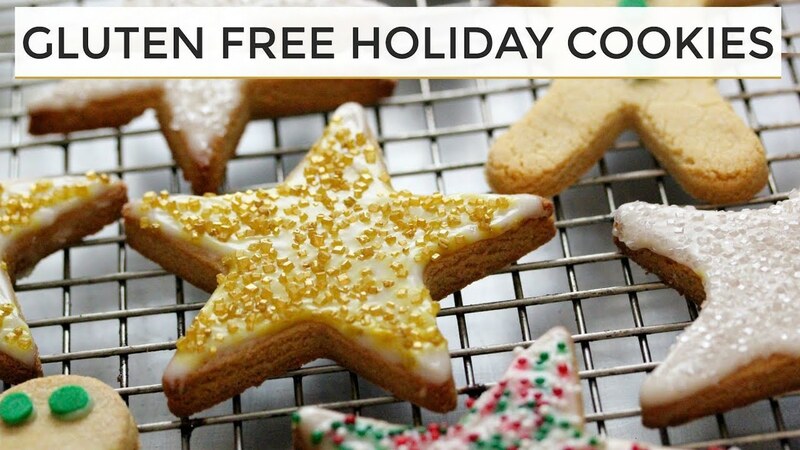 In this article I’ll cover a few fundamentals regarding gluten and then move on to a few tips & challenges with gluten-free holiday baking. Gluten is the generic term for the storage of protein in grains. It is found in wheat, oats, barley, spelt and rye. An unhealthy gut can leave you wasting time in the bathroom – and really, who has time to waste? We’ve all experienced it before – that rumbling sound coming from your stomach when the room is completely silent and that bloated uneasy feeling. That’s something we all want to avoid. I battled this myself for many years as I tried different diet and life style changes trying to find that balance for my system. I attributed it to getting older – which I was – but that didn’t mean I was ready to feel that way. 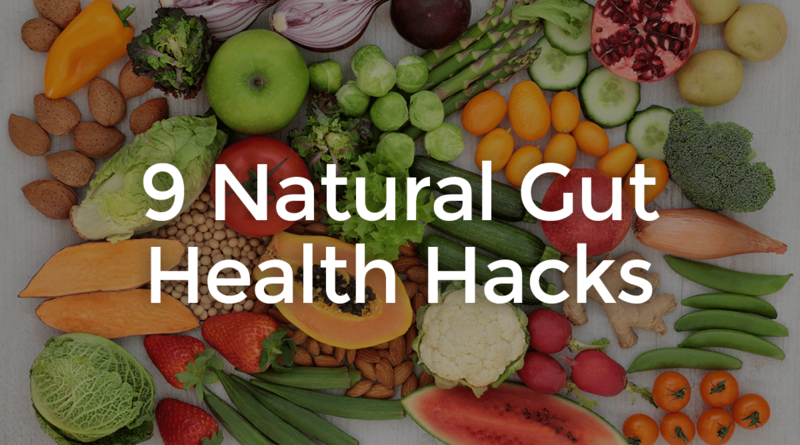 These experiences led me to want to share hacks to improve gut health. Did you know, there are trillions of bacteria creeping in every little nook and cranny in your digestive tract? 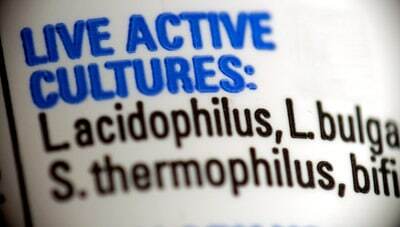 There’s bacteria in your gut. Sounds disgusting, doesn’t it? That’s because we’re conditioned to believe bacteria is bad. Chances are you over clean your house and wash your hands constantly. In the US, we wage war on germs – but this is a big mistake because bacteria isn’t always bad for you. During summertime, the sun in San Antonio starts getting brighter. We can feel the effects of the water loss on our bodies when trying to get out of our car after a long drive, our legs get stuck to our seats with sweat. Or when we pass out on our beach towels in the sun and wake up drenched in sweat– and probably a little sun-burnt too. 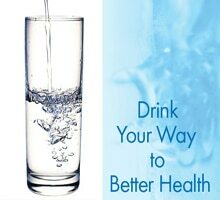 We lose a lot of water through sweat in the summer and it’s important that we put back as much as our bodies are losing – because it’s vital to our health. There are a lot of food choices for us to make and choosing the right diet for you can feel a little overwhelming at times. To help you sort through the noise and get you off on the right track, I’ve outlined four great diets worth considering. 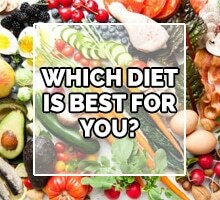 By Russell Havranek+|2018-09-06T11:49:33-05:00February 14th, 2018|Digestive Health, Nutrition|Comments Off on Which Diet is Best for You? Fiber – How Much Do I Need? 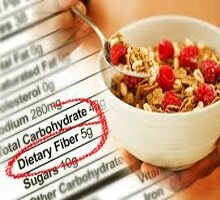 As a gastroenterologist, I get a lot of questions from my San Antonio, TX patients about fiber intake. We all know it’s the right thing to do but most of us don’t take enough. So what is the right amount? 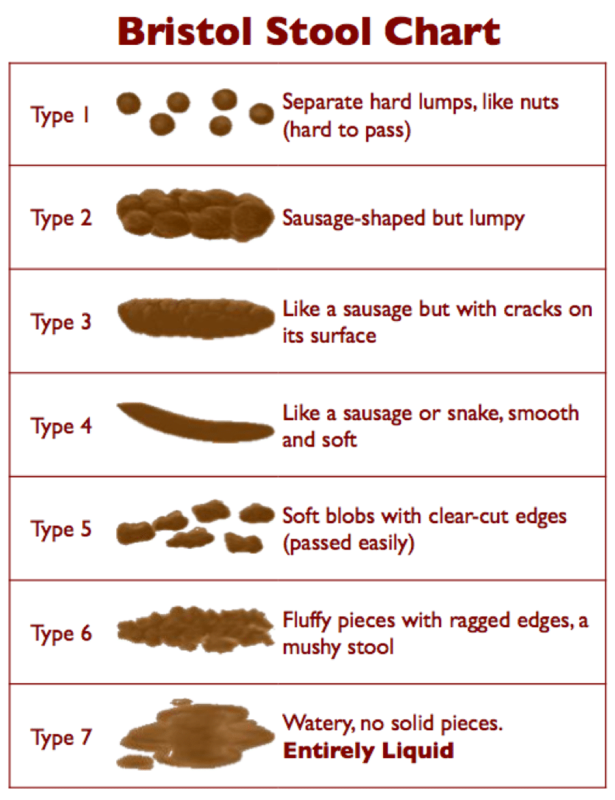 What is the right type? 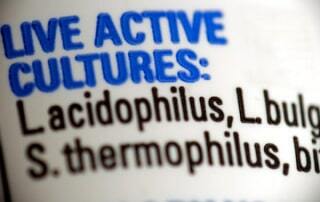 Can I get it in my diet or do I have to buy a supplement? Let’s dive into some of these most common fiber questions. By Russell Havranek+|2018-01-31T01:21:53-05:00June 27th, 2016|Bowel Movements, Diet, Nutrition|Comments Off on Fiber – How Much Do I Need? Let’s just start by saying we all poop. For some people this is a topic that’s difficult to discuss with family, friends or even their physician in San Antonio, TX. For others, like my grandpa or my 6 year old boy, they could talk about it all day. 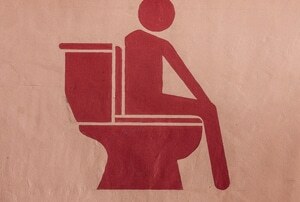 However, a bowel movement can be an indicator of your overall digestive health. 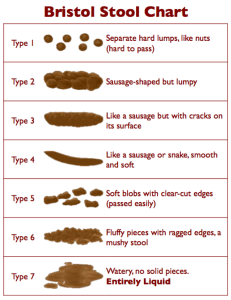 I’m going to walk you through the basics of a “normal” bowel movement and give you the perspective of a gastroenterologist on the key indicators to look for and what they could mean. 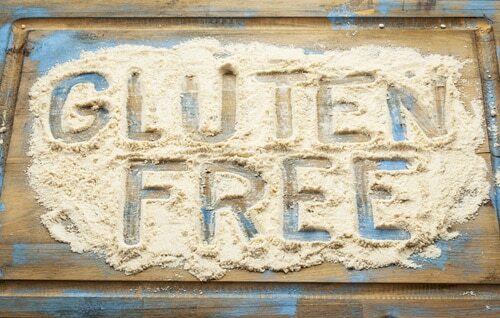 Should I try a Gluten Free Diet? Gluten free. Is it the new diet fad or is there a reason when it’s such a hot topic right now? Gluten free diet is the number one diet change topic my patients in San Antonio TX come to me to discuss. So what is it about gluten and does it deserve the bad rap it seems to be getting? First, let’s explore what we know. 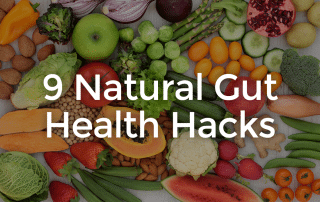 By Russell Havranek+|2018-09-06T11:51:07-05:00January 15th, 2015|Nutrition|Comments Off on Should I try a Gluten Free Diet? 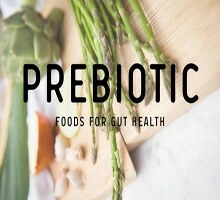 By Russell Havranek+|2018-08-17T09:18:58-05:00August 24th, 2014|Nutrition|Comments Off on What are Probiotics? Colon Cancer – Is there a Cure in San Antonio TX? © 2019•	Russell Dean Havranek, M.D.. All Rights Reserved.